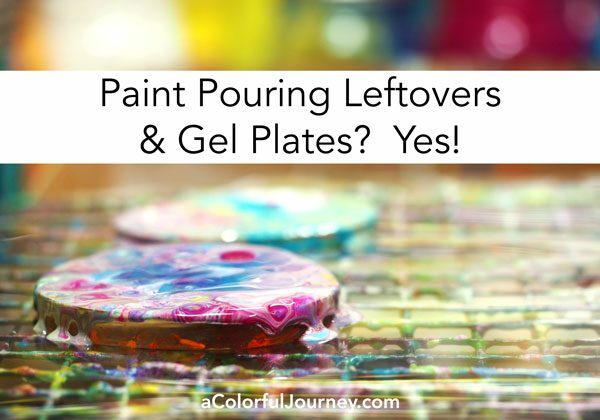 Paint Pouring Leftovers and Gel Plates? Yes! 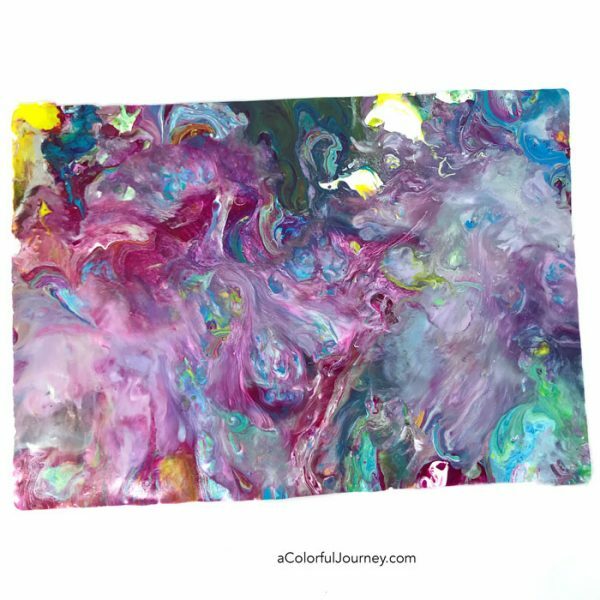 What can you do with leftover paint that drips off canvases when doing acrylic paint pouring? 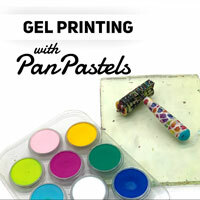 Capture all that colorful pattern with gel plates and make acrylic skins. The gel plates capture each and every detail! 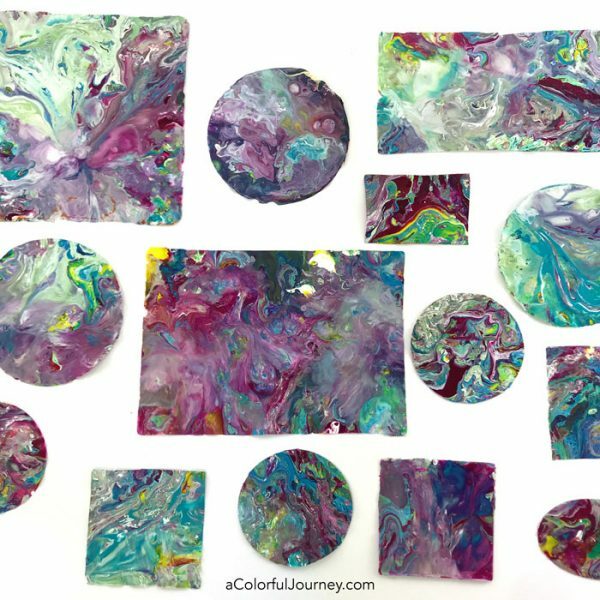 Watch Capture the Pattern in Paint Pouring Leftovers with Gel Plates on YouTube. 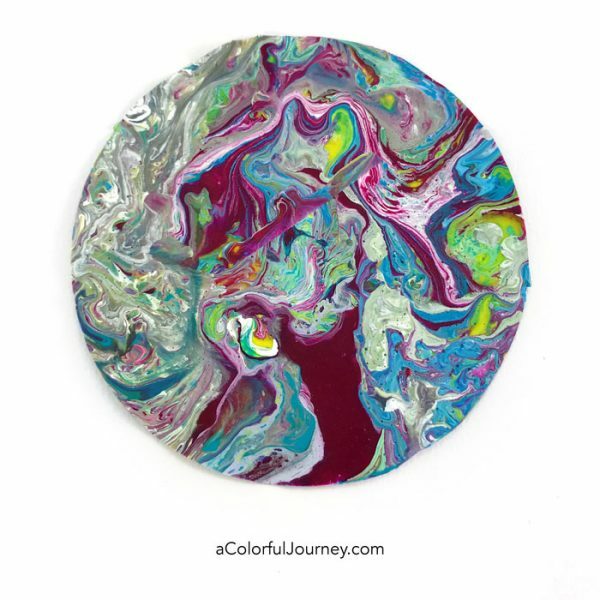 Put a gel plate, any size, on the wet leftover paint that collects after making a few acrylic paint pours. All that detail that you see through the plate there will be there when the paint is totally dry. This technique works best with gel plates that have lots of squish to them, like the Gel Press plates. The backside won’t look anything like the front and don’t worry about that. All the detail is still there on the other side. If you happen to have any bare spots show up within a few minutes of dipping the plates, simply scoop up bits of the remaining paint in the box to fill those in. When dipping these in the leftover paint, be aware the paint tends to get all over the place. 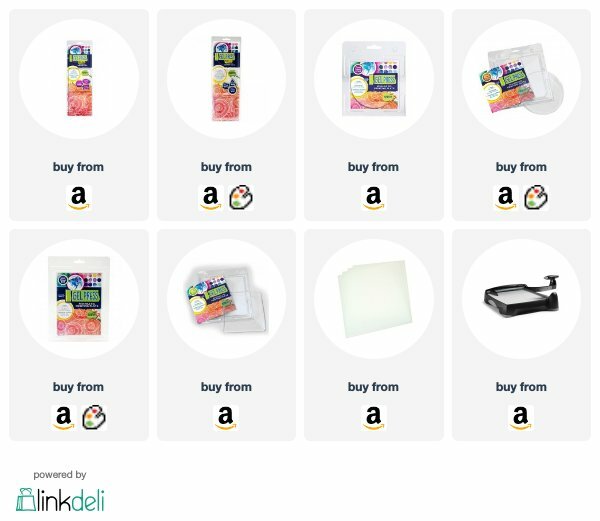 I peel off the plastic protective covers that I store them in and put them on transparency sheets for a laser printed from an office store while they dry. That way none of the dripping paint gets on my heavier weight protective plastic covers that came with the plates. The paint needs to be completely dry before you pull the skins off. In this case it meant 24 hours. The temperature where you live, how much paint is on there, and what kinds of paint you used all impact drying time. It can take a while but this only works if the paint is completely dry before you peel it off the plate. Here’s what they look like when completely dry. 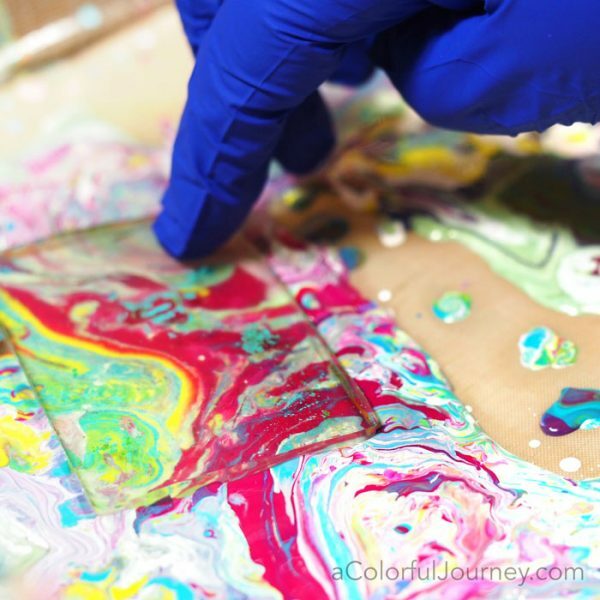 Whatever details were in the paint are captured in the acrylic skin, the dried paint peeled off the gel plate. I used several of these skins to make quick colorful cards. 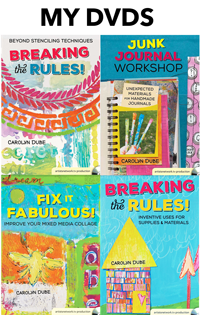 Skins can also be used for collage, art journaling, and any mixed media fun you want! What a wonder idea to use up that beautiful paint! 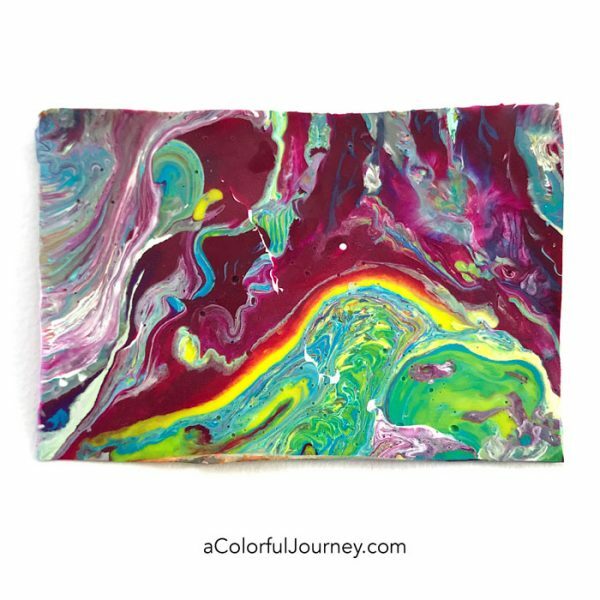 This must make you positively giddy to work with all these awesome colors! Please make a couple of acrylic Pouring videos for us. Your explanations are so clear, I just might try it myself. I really want to, I just need a little push. You are fabulous, Carolyn, thanks for your wonderful videos. I love your videos and would be grateful if you could show how you do your acrylic paint pouring. I keep reading about it and seeing the amazing results people are getting but haven’t tried it myself yet. I really enjoyed this video on making skins and I would definitely like to learn more about paint pouring. I’ve watched other videos on paint pouring, but you have a way of of presenting techniques that make them seem so doable. I’m looking forward to seeing how you do paint pouring. Amazing! 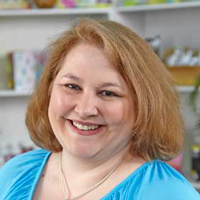 I love your videos and your attitude about paint and color! Keep sharing your beautiful journey! I love this idea! I do a lot of cards and I like how your used this technique for making them. I would love to see more about paint pouring too! Thank you so much, Carolyn! This is an amazing technique with great art being produced. You are sogenerous to share all of this with us. Would very much like to see paint pouring demonstrated. Love your videos. Yes, please show how you do the paint pouring technique. I absolutely love your cards made with paint leftovers. 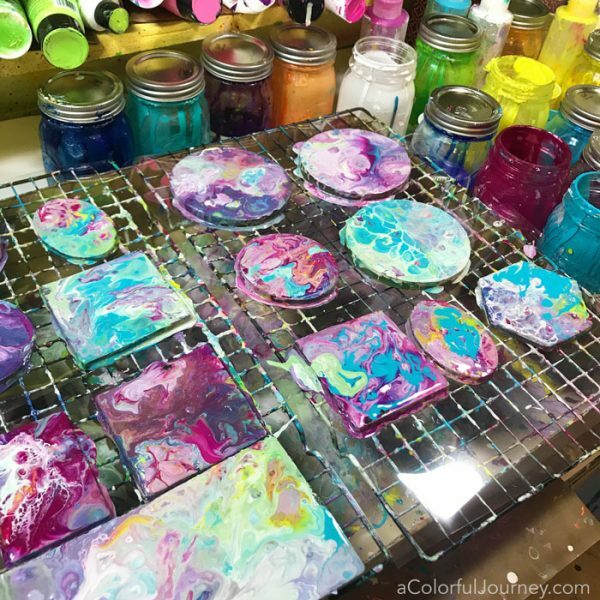 Buzzing around on Pinterest, I came across paint pouring. I was totally gassed and did a few. I love it. 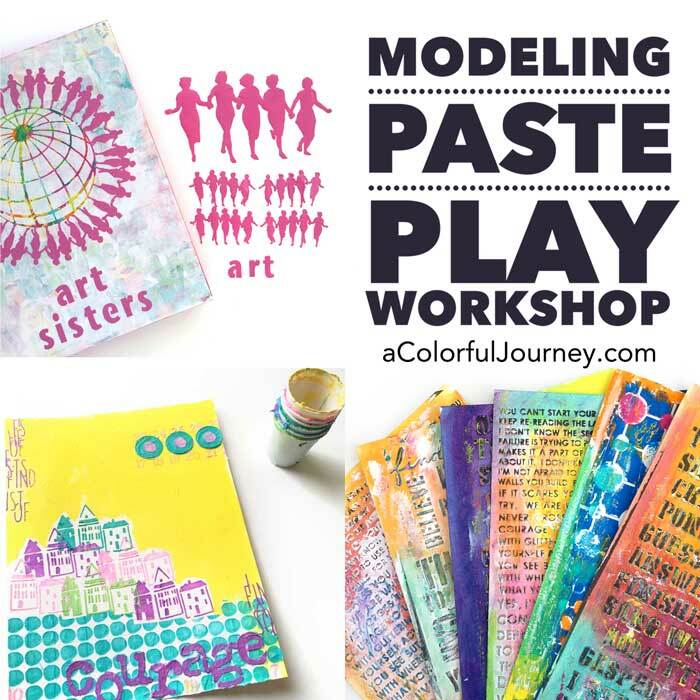 Then , with further buzzing I found Gelli plates, then art journaling and you. I love your work. 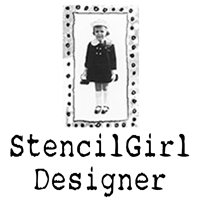 I am a folk art embroiderer with a fulltime job and 3 grandkids, so I don’t have a lot of time to do much. I still don’t quite get the journaling part but I’m working on it. AND I have no talent so maybe that makes it harder or not. I don’t know. Anyway, thank you for your great tips and your attitude towards art. Thank you Carolyn for a wonderful tutorial. Now I’ll have to do some painting, just to play with the left overs. I love your videos! Noticed your shirt with the colored letters. Can you please share how to make the shirt? Thanks again for sharing your talent! Wonderful, Carolyn!!! Beautiful skins…….beautiful cards!! I would LOVE to see your pouring videos!! Thanks so much!!! 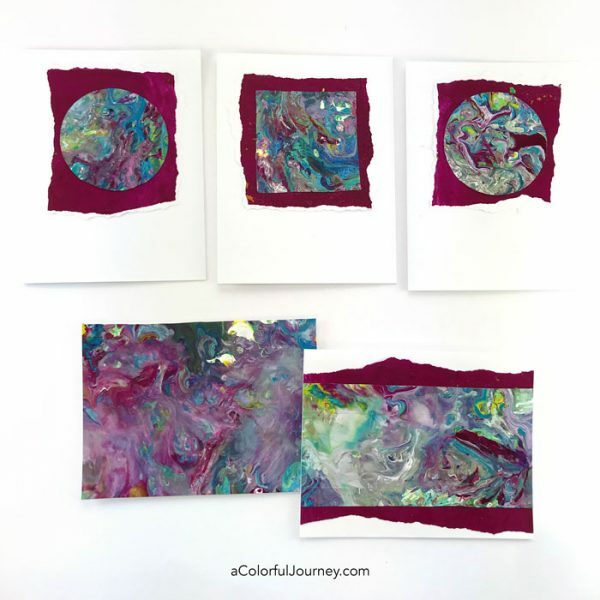 A member did a demo of paint pouring at one of our Altered Book group meetings. I had seen it on You Tube & FB, but while interesting I wasn’t an instant convert. 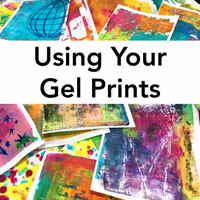 Your videos & materials list really make it clearer & the left over skins on gelli plates were my favorites! Loved how you made the cards. Only have one large gelli plate, temporarily missing, but would try more of these in the future. A few more videos would help in working with colors maybe just a few extra notes on mixing amounts would be helpful. Thanks so much for sharing these! Oh boy now you have me hooked. I love how you use the excess. I tried a pouring class from Liquitex a couple of years ago. No cells. They gave us huge canvases, not enough supplies to cover and back then no cells. I think my first try will be a dirty pour on the. Uncovered space. Also I see a big heart on the fully covered card. Can you doodle in these. I want to try tonight but it is so humid you sweat even with AC working. May have to lower temp! You absolutely can doodle on them Dee! 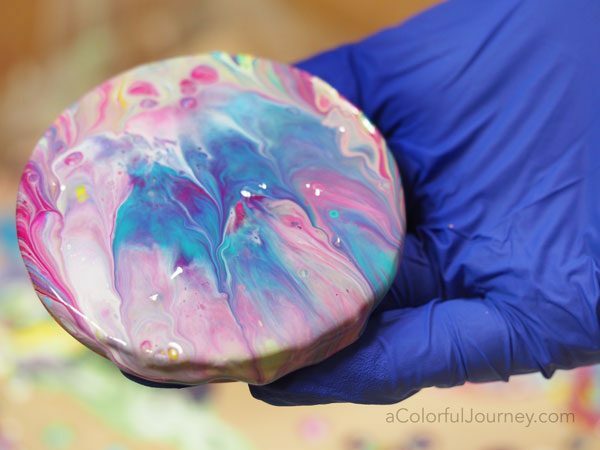 The excess is never wasted – paint and the rainbow are too wonderful to let them not be used!